The following videos show our system in action at various events. Music festivals have come quite a long way from Woodstock since the 1960s. And that is not just geographically towards places like London’s Hyde Park but the technology itself. From near field communication (NFC) to cashless payments, Lara Lewington looks at some of the technology that a festival now relies on to rock. 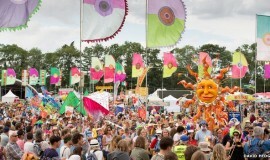 Ever wondered what a brilliant festival enabled with IVS technology looks like from the wristband’s perspective? It looks like a lot of fun to us! Highlights of Barclaycard presents British Summer Time, Hyde Park, London, on July 6th 2013. Featuring a demonstration of the Barclaycard PayBand cashless payment solution, powered by IVS. Highlights of the Barclaycard Arctic Disco at Snowbombing featuring RFID cashless, access and social media integration at 6000 feet on top of an Alpine Mountain, as enabled by IVS. Highlights of from Infinity Gate experiential brand activation in Frankfurt, where IVS provided the access control solution. This is Barclaycard’s official video showcasing their triumphant deployment of contactless payment, access and social media at Wireless Festival, which we helped them to facilitate. An independent video made by T3 Magazine on Barclaycard’s cashless PayBand solution used at Wireless.